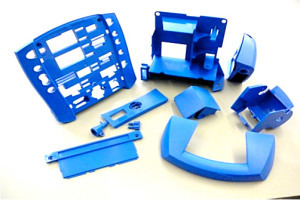 Plastic Injection Molding (PIM) one of CSI Group’s 1 SOURCE offerings – a manufacturing process that creates plastic parts by injecting heated material into a specific, often custom-made mold. Custom-designed molds mean custom-delivered products. Molds are made from specific designs, giving the customer maximum flexibility, control, and accuracy over the end product. The process can be used for various metals and even glasses. 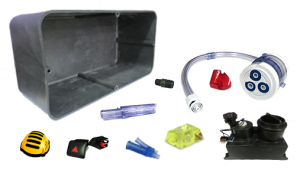 It is among the most highly effective methods for creating custom injection molded plastics. Pim is an incredibly effective way to manufacture accurate plastic parts and components. It’s quick, saving you valuable production time. It’s accurate, meaning you waste fewer materials. And it’s consistent—you can count on receiving exactly what you ordered. CSI Group offers production from clean, organized facilities totaling 172,000 square feet with 86 molding presses ranging from 24 to 500 tons. Our capabilities include: insert molding, overmolding, scientific molding, two-shot molding, cleanroom molding, and lens molding. Our expertise includes: small and large part molding, high-volume production, automation and robotics, and quality control programs and processes. We manufacture parts ranging from <1 gram up to larger parts weighing 8 pounds. We can provide rapid prototyping as well. Once the mold prototype for your plastic molding job has been created, the production process gets underway. Polymer resin pellets are fed into the machine down an auger into a heated cylinder. A combination of restricted flow and pressure creates heat that helps melt the polymer, preparing it for injection into the mold. The mold is held by clamps that maintain the exact pressure required throughout the process, ensuring that the molded product is finished to specifications. Clamping pressure exerted by the press can range from 24 tons to more than 500 tons. The next step, of course, is for the molten, melted plastic to get injected into the mold. To ensure that all of the cavities are filled with plastic, the injected plastic remains in the mold during the dwelling phase, and stays in the clamped mold to cool. Once cooled, it solidified and is ready to be ejected from the mold and cleaned of any excess plastic. Complete cycles range from 15 to 30 seconds. We employ multi-tiered quality assurance steps throughout our manufacturing group. Total Quality Management (TQM) is an overarching approach and principles like integrity, training, communication, and teamwork guide our operating procedures, and process instructions. CSI Group practices lean manufacturing principles, uses integrated quality management systems (IQMS), and is ISO 9001:2008 certified and have UL approval and ITAR certification. PIM is one of the many ways CSI can provide 1 source solutions for you. With 30 years of experience and valued partners, all leaders in the high-precision component manufacturing segment, we can easily deliver the customized parts and components best suited for you. Our experienced engineering team is ready to work with you to find the best one-source solution for your needs. Contact Us to get the conversation started.